I am so happy we have made it to the Spring months. 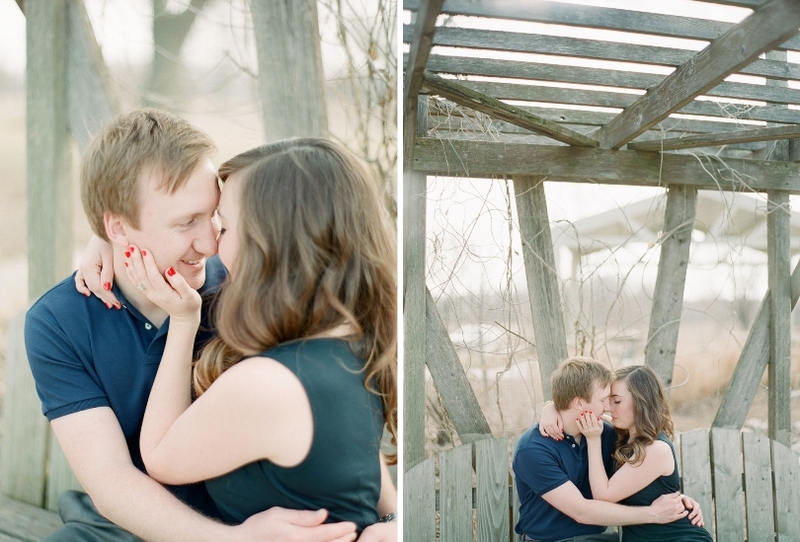 Sessions have started to pick up again with the nice weather, and I get to work with my Fall wedding couples! 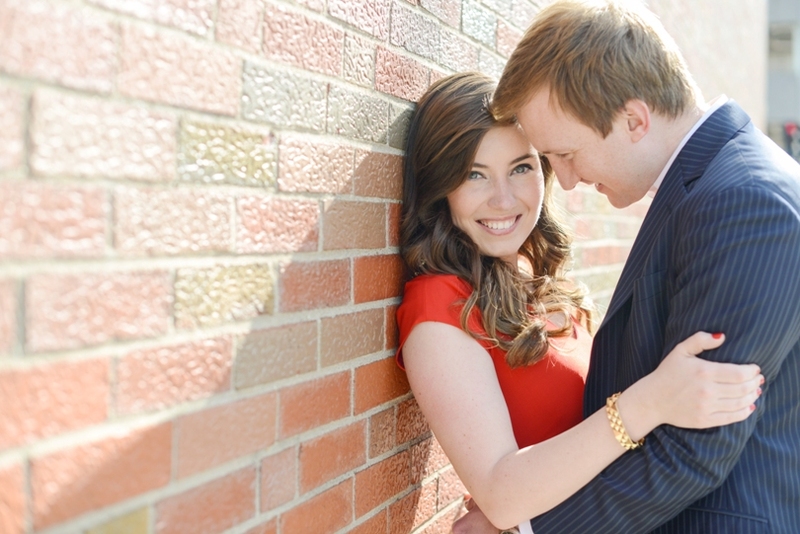 Michael and Meghan met in law school at Mizzou. She had been eyeing him up and they finally connected while out on the town one evening. 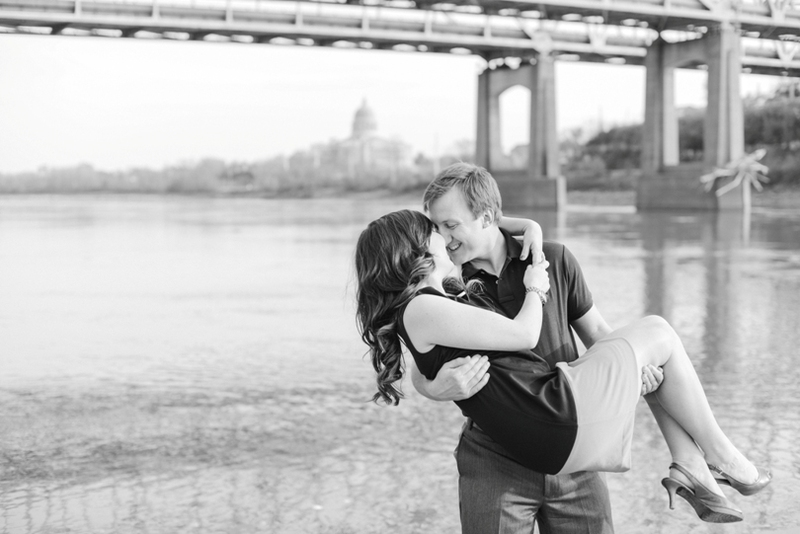 After graduation, they both started working in the Capitol City and will hold their wedding here this Fall. 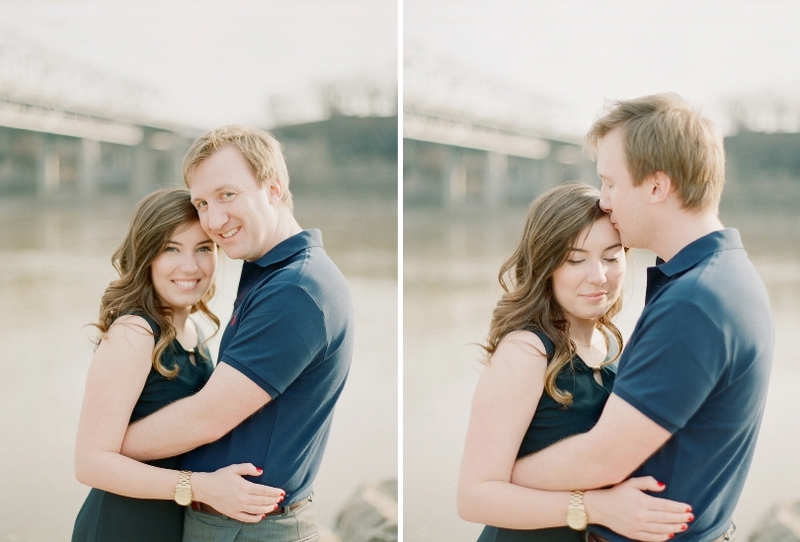 They are a seriously cute couple! Meghan is spunky and energetic, I think we should be BFF’s! Michael is kind and adores his future wife. 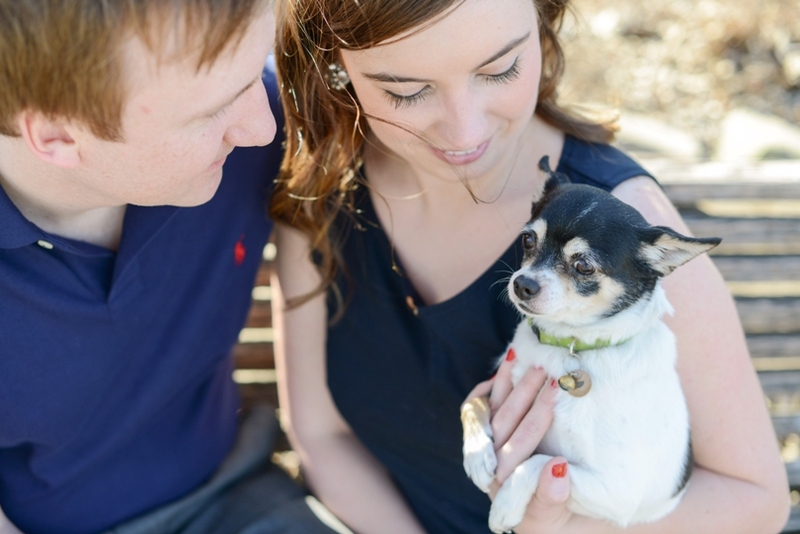 The brought along their darling little pooch, Bella, for some family pictures. 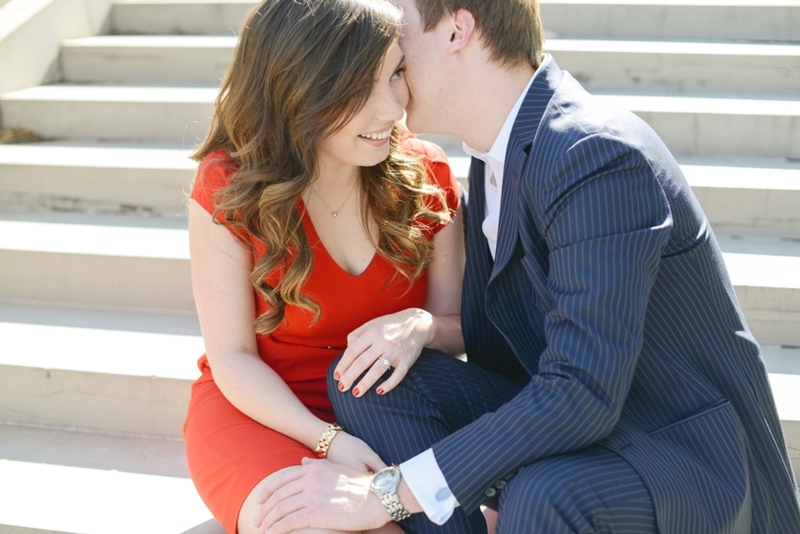 We decided to start their engagement session at the Capitol since Meghan works there. 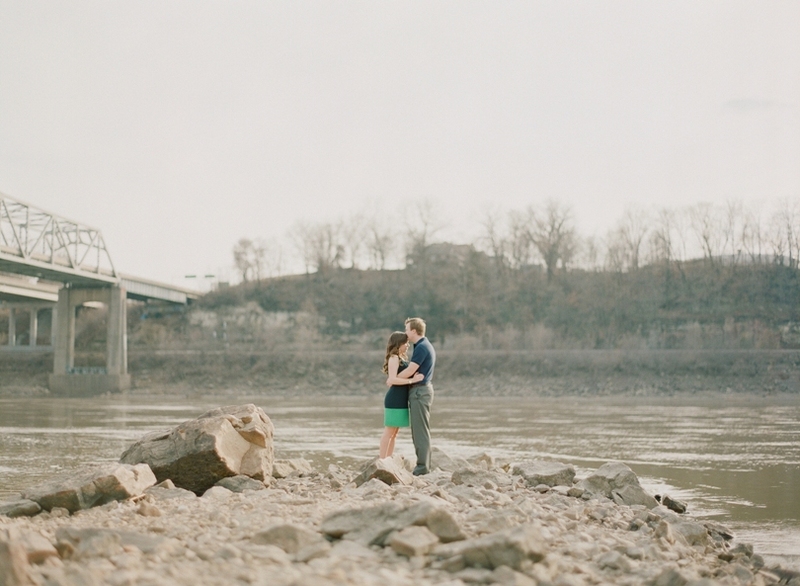 After we toured around the property and downtown Jefferson City, we headed out to the river access. It is a spot I have been wanting to shoot at for a while. We walked some of the trails and found a rocky peninsula into the river to catch the glow of sunset. I enjoyed spending my Saturday evening with such an awesome couple! Can’t wait for October!